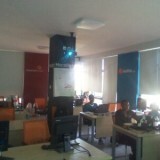 I am writing this blog to share with you about an event that we held early this week at the Mlab east Africa. 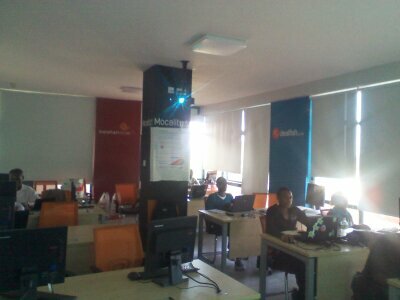 On Tuesday 13th December we had a talk at the Mlab Eastafrica where we introduced the current wave of students to Mozilla Community Kenya, the Mozilla foundation, products and projects. Alex the lead of the Kanyan community was the main speaker of the day. The aim was to get the students join our community and chip in their ideas and contributions towards the the growth of the Kenyan community and Mozilla at large. The trainees at the mlab come from different educational institutions and we hope that they are going to spread word about Mozilla and it’s products in their various institutions. Every piece of information was well communicated during the interactive presentation. The hottest topics were the local community and B2G as the audience come form a mobile development background and they are basically interested in opportunities in the mobile industry. Images taken during the event at this photo stream http://www.flickr.com/photos/54866403@N02/.